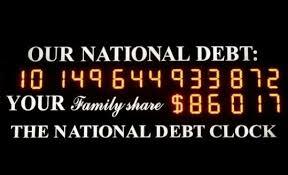 Is the National Debt Stifling Our Economy? 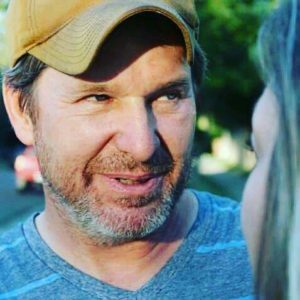 Editor’s Note: Marty Skovlund Jr. founded The Havok Journal. His father, Marty Sr., an Army veteran and all-around great man, was our #1 fan. He even wrote a few articles for us himself, this being one. He passed away a year ago. RIP Marty Senior. Gone too soon. I think people of all walks of life need to pay attention to something the national media is trying to sweep under the rug. A little background on what I am basing my opinion on along the way. Deficit spending is spending by the Federal government that exceeds the income it receives from tax collections. The government, by doing this is competing for a limited amount of funds available in the private equity funds market. Accumulating debt as a nation to fund on-going expenses causes the government to pay interest on that debt and create even more of an imbalance between income and spending. Let’s remember we dipped into recession in the first quarter of 2015 and are barely humming above today. When this national debt consumes too much as a percentage of GDP the nation can no longer sustain the payments on the debt. That level is 40% of GDP. It is this policy of deficit spending by our government that caused our Nation to go over the fiscal cliff where automatic cuts to the military and discretionary funds took place along with across the board tax increases. This is known as the Sequester. This should result in the ability of the government to pay back the deficits while the private sector adds more jobs and consumers buy more homes and invest. However this rarely happens because there is never a positive multiplier to deficit spending, according to the majority of economists, because the crowding out effect nullifies the intended effect. This is the reason the actual unemployment rate is around 20%. The higher corporate tax rates have pushed manufacturers to offshore factories with cheap labor. The National debt has gone over 18 trillion and it is getting more difficult every hour of every day for the government to sustain. The disadvantages of deficit spending are numerous if the multiplier on the stimulus is a negative number, if the amount spent has an effect on GDP less than that investment due to the crowding out effect. The crowding-out effect is any reduction in private consumption or investment that occurs because of an increase in government spending. When the government uses deficit spending to fund a stimulus package it drives up borrowing costs for everyone from common households to large companies which reduces the rate of consumption and investment overall. This is why consumer confidence is so low. With a labor participation rate below 65% there are not enough tax payers in this country to sustain the government’s level of spending. I believe deficit spending hinders long term economic growth. The crowding out effect greatly reduces the effectiveness of deficit spending policies that are supposed to increase the complete demand for the nation’s output. It hinders short term growth because it drives up interest rates for the private sector and limits the amount of financing available to the private sector. This in turn does not allow for the expansion of businesses or the lowering of the unemployment rate. Government deficit spending directly decreases the amount of private sector investment because the more deficit spending there is, the more crowding out occurs. Former Treasury Secretary Alan Greenspan in 2011 said “A third of the decline in capitol investment can be directly attributable to the crowding out by the U.S. Treasury. “ This makes it plain for us all that the course we are on as a nation is a dangerous one, indeed. I know it is a little early to talk about the next president. We really need to elect one that has the courage to right the ship before the American greenback is devalued to a point we cannot service our debt any longer. We have printed billions of dollars in cash to infuse into the economy and keep interest rates artificially low. This has put us in danger of a sudden devaluing that will crash our economy. There is no backing for the printing of said money. If the American economy crashes the rest of the worlds will also. The U.S. economy is still the largest in the world and the world needs our appetite for new goods. You notice Europe still has not completely recovered from our Great Recession from 2007 to 2009 with Greece recently defaulting on its debt payments. If you really want to know the real details of our economy go to http://www.usdebtclock.org/ and you will be shocked. Do not forget that if China attempted to demand payment of our debt we could not pay it, and don’t kid yourself they hold enough of it to matter. China holds trillions in US treasuries. That may not be the most any foreign country holds but no other country would do something that would crash our country financialy. It is well known that China manipulates its money to make its products cheaper than ours. Holding over a trillion dollars in US treasuries makes that job that much more effective. This being a fact-based opinion piece I think the conservative approach is best. That approach finds ways to cut waste from the US budget and lowers taxes likewise. Saying the unemployment rate has gone down is misleading when it only went down because that many people left the workforce. The unemployment rate should reflect the number of people looking for work plus those able to work but have given up. There are too many social programs that can be lived off if no drive to succeed exists. We have to be realistic about how much discretionary spending can be sustained in ones lifetime. There are also far too many who are underemployed to accept as the American way of life. Think very carefully who you will vote for in the next election for President. We need a president who understands what true leadership is so he can get Congress to do their job. Is that not job number one for an American President? Leadership! http://www.usdebtclock.org/ Real Time US Debt Clock.